Kin By Us @ Macquarie Park – Part 2 – PINKKLOVER. Back here again and I swear, the food is still amazing! It was lucky we got seats at a cozy spot at the corner and I was glad we were there before a queue formed! PHEW! This time, I ordered a waffle belly and a black sesame shake. I always wondered how pork belly and waffle will go together as they’re completely different in terms of savoury and dessert. But since I had the kimcheese waffle the other day, I was determined to try and reward my curiosity. The waffle belly was good and was quite generous in its serving! I had a few slices of the pork belly and they were thick slices! YUM! The waffle was perfectly cooked and surprisingly, it went well together. 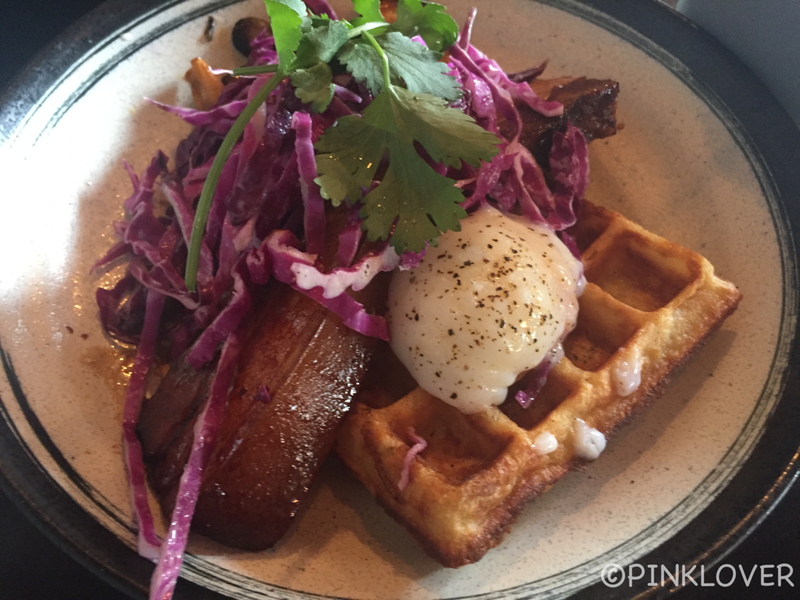 The only negative is that the pork belly was a bit too salty if it’s eaten by itself, so it’s best to have it with the waffle. I loved the Black Sesame Shake and it is a must try especially if you love the flavour of black sesame! 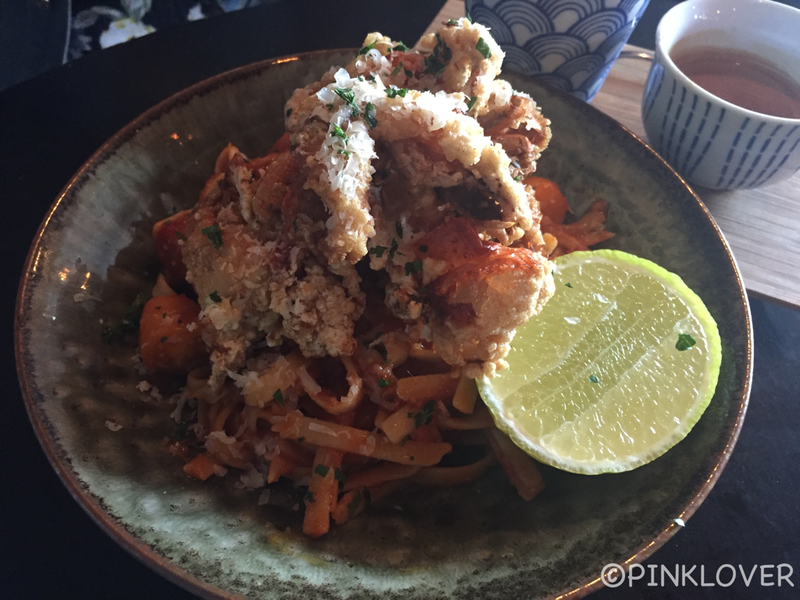 Below is a Singaporean styled dish of soft shell crab linguine. It looked tasty and soft shell crabs are always amazing! My friend enjoyed this dish and she’s SINGAPOREAN! Overall, no major disappointments with Kin By Us and will definitely come back to try other dishes on their menu.